Lately I find myself embodying Lydia Bennet and repeating over and over again "I want to go to Brighton!" 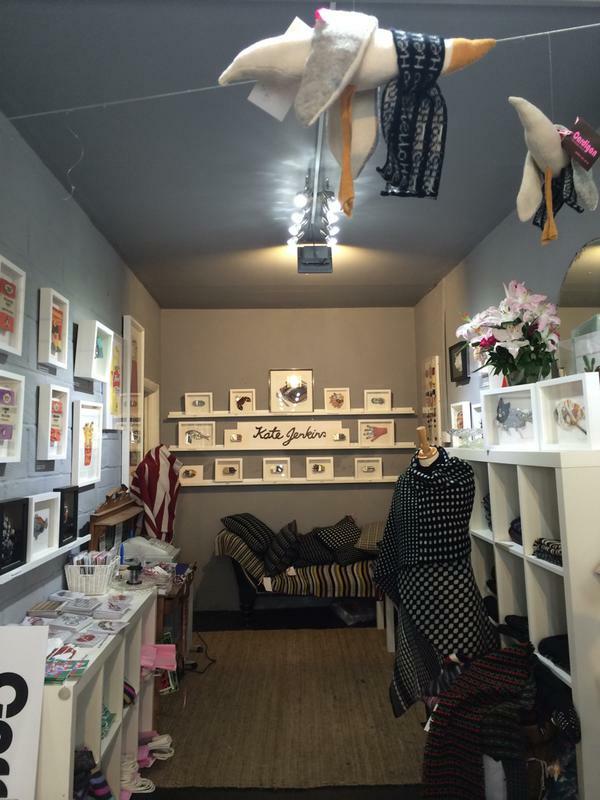 I am stumbling across some wonderful Brighton artists and makers that speak to my quirky tastes. 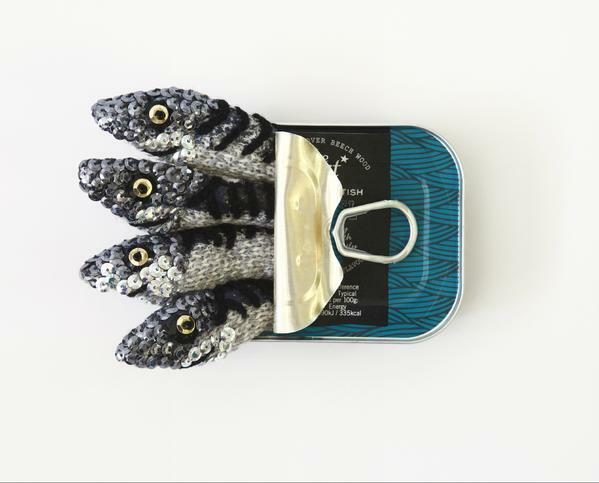 Case in point: Kate Jenkins, whose framed creations will not only challenge your conventions when it comes to crochet, but also tinned goods. 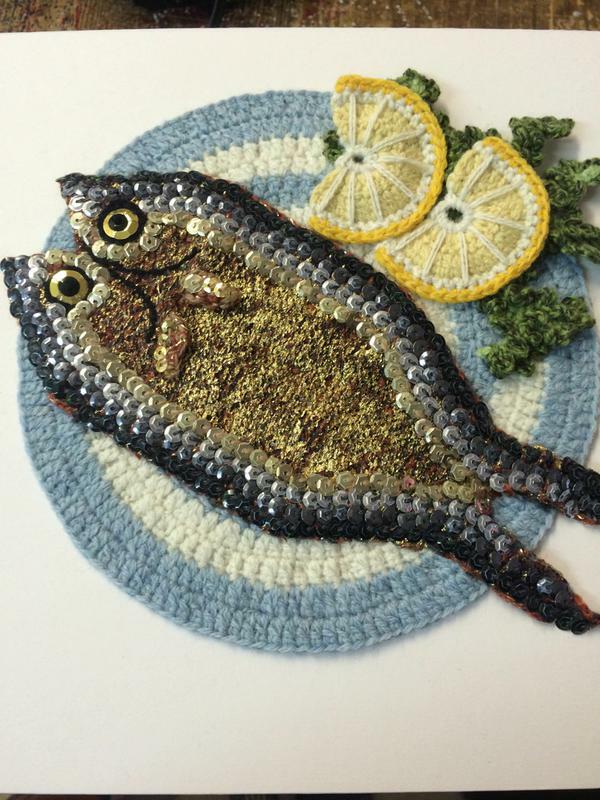 Kate Jenkins has gained recognition for her unique crochet take on food, especially nostalgic or everyday items one would find in a pantry (Lyle's Golden Syrup, HP Sauce, Heinz Baked Beans, etc). 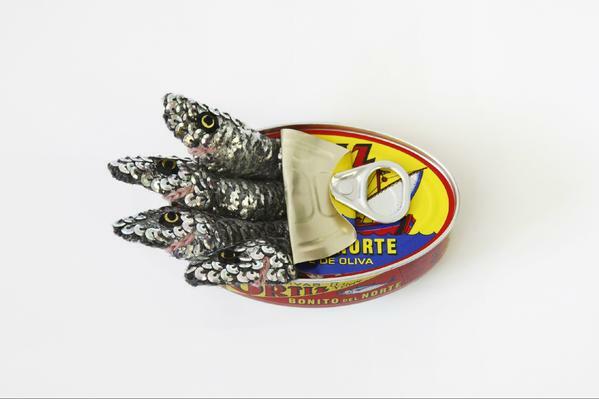 Recently she started combining vintage tins with her whimsical pieces to create three-dimensional pieces of mackerel, sardines, and 'spam' pigs emerging from cans. 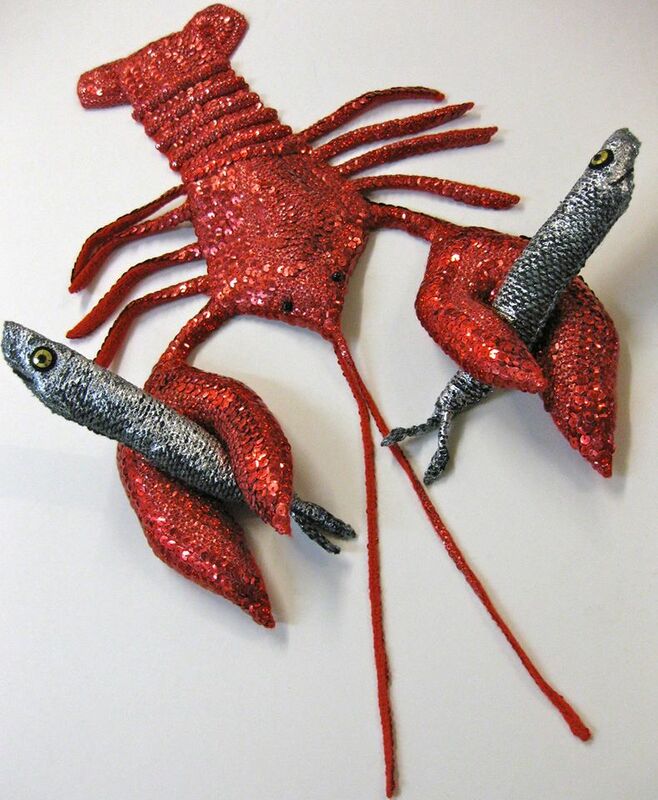 They are whimsical, delightful, and I want every single one hanging on my wall. They are also the pieces that caught my attention on Instagram and made me an instant fan. 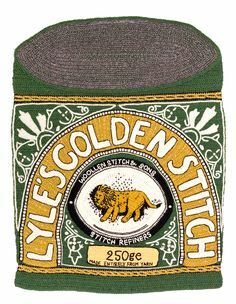 Kate also has her own label for clothing and housewares, 'Cardigan', which she established in 2003 (after a sucessful career as a knitting consultant to various high profile fashion designers). She does exhibit her work, but if you are lucky to find yourself in Brighton anytime soon, you can pop by her studio (pictured above on the left; on the right you can see the quality frame she gives each piece). Join me in keeping up with her wonderful work via social media: Twitter, Instagram, and her shop website. Here are some of examples of her recent work, but definitely try to check out her site, which includes photographs of her previous work. I love the contrast of the hard and soft when it comes to her 'tinned pieces', but I also love the humor she can bring to ice cream or the composition of a two-dimensional piece. Seriously, "I want to go to Brighton!" * All images used are the property of the artist.